How can Chiropractic Pediatrics Benefit Children? Chiropractic care leaves an impression that it is only suitable for adult treatment. After all, the core of chiropractic care involves spinal manipulations or spinal adjustments, which are usually carried out through sudden but controlled movements of the hand. Chiropractic has been famous for effectively reducing low back pain. However, there are multitudes of other musculo-skeletal conditions this alternative medicine can help. 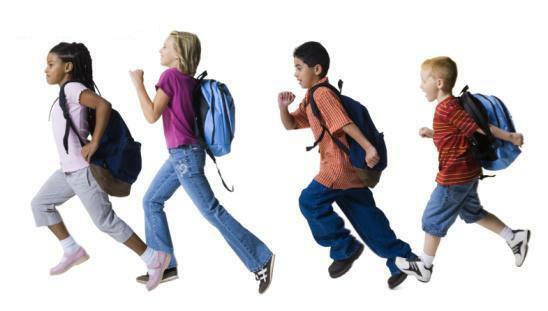 Backpack syndrome, for instance, can benefit from chiropractic care to restore the spine into its normal physiological condition. Carrying heavy loads on the back causes this condition. This condition affects most of the time school aged children. If untreated, it can lead to other complications such as back pain and developmental scoliosis. It can even cause structural deformities since it can hamper in the child’s musculo-skeletal growth. Although lessening the weight on the child’s back is the primary remedy, it would extremely help to bring him or her to a chiropractor. Parents need not worry about injuries or fractures because some chiropractors specialize in pediatric care. One such chiropractor, Dr. Anik St. Martin, dealt with children and babies as young as a day old. This is very surprising indeed since if you think about it, there is no reason for newborns to be adjusted, or so we thought. It turns out that during childbirth, babies delivered especially through NSVD (normal spontaneous vaginal delivery) can undergo stress in the spine. This is particularly true if the mother had a difficult delivery and prolonged labor. According to Dr. St. Martin, chiropractic care may be needed. Moreover, older babies who start to roll over on their stomach, sit, crawl, stand or walk can experience certain forms of misalignment. When this happens, parents should think about visiting a chiropractor specializing in pediatric care. According to Dr. St. Martin, gentle maneuvers are applied in pediatric patients. Even the pressure used is just enough to check the ripeness of a tomato. Not everyone agree though that chiropractic care can be beneficial to children. Some pediatricians do not recommend chiropractic pediatrics. For instance, a trial published in the 1998 New England Journal of Medicine concluded that chiropractic did not benefit pediatric patients with asthma. American Academy of Pediatrics chairperson on integrative medicine, Dr. Hilary McClafferty also believes chiropractic care may not be beneficial to her patients. For this reason, she does not refer patients to chiropractors. On the other hand, she does not dissuade those parents that prefer the alternative medicine for their kids. It’s just that there is no strong evidence that can point chiropractic care as a main contributor in treating pediatric conditions such as ear infection, asthma, bedwetting, colic, and difficulties in nursing. On the other hand, some allied medical professionals like occupational and physical therapists find it helpful if their patients receive chiropractic care in conjunction with their recommended treatments. For instance, pediatric patients with torticollis and low back pain exhibited faster pain relief and quicker recovery time when rehabilitation treatments were administered concomitantly with chiropractic care. Ultimately, it will depend on the child’s condition. More benefits are reported for musculo-skeletal related disorders but for other conditions, it has little to no benefit at all.